Recently, Unified Field had the opportunity to provide design services on three unique endeavors: The National WWII Museum in New Orleans, The USA Pavilion at Expo 2015 Milano, and Graceland Mansion in Memphis. Built to honor World War II veterans, the new Campaigns of Courage Pavilion at the Museum takes guests on an immersive multimedia journey through one of the most cataclysmic events in human history. Using the dynamic nature of media to strike a fine balance between authenticity and the transcendence of time, Unified Field crafted the experience to connect younger visitors with the stories of their grandparents and great grandparents. The Dog Tag Experience begins at ticketing where each visitor is issued a personalized RFID (Radio Frequency Identification) card. Each visitor registers his/her Dog Tags and selects the story of a unique veteran to follow throughout the war. The cards are used to log in at themed interactive War Station and My Journey kiosks throughout the pavilion. The kiosks are packed with content such as oral history interviews with veterans recorded by the museum’s staff, archival videos, artifacts drawn from the museum’s collection, animated battle maps, and exploded 3D models of vehicles and weaponry. 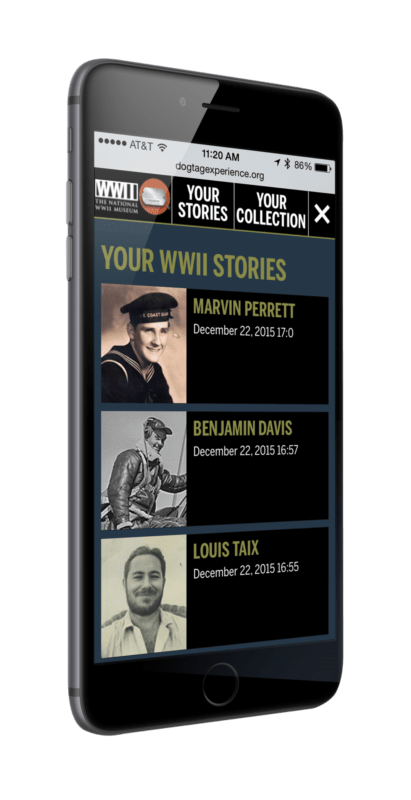 Unified Field created a custom content management system to manage the Dog Tag Experience, which allows the museum staff to update content across the kiosks and website, facilitating an integrated and up-to-date visitor experience. Feeding the Planet Together at the USA Pavilion in Milan. All photos courtesy Unified Field. The expo theme is “Feeding the Planet, Energy for Life.” Many international and corporate exhibits showcase innovative technologies designed to feed the world while respecting the equilibrium of the planet. “Feeding the Planet Together” accommodates up to six visitors at a time, of all ages, to work together to address and try to solve the problems contributing to world hunger. 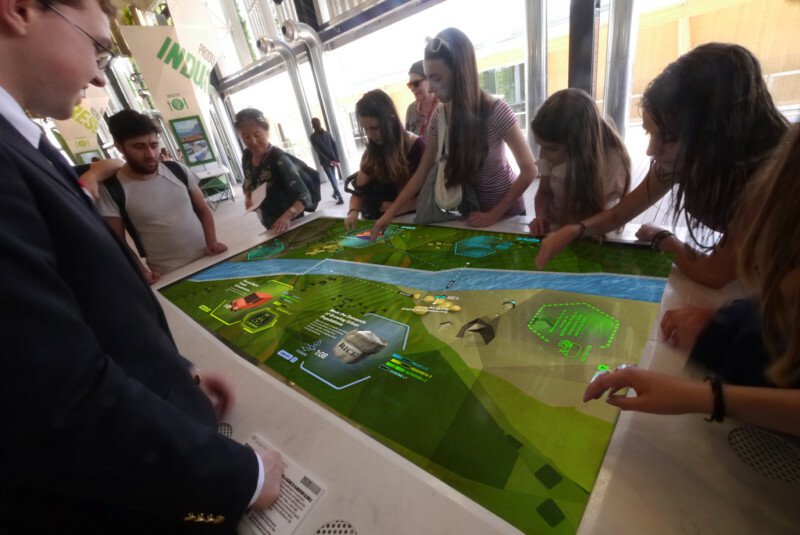 The interactive table is a part of a larger story told throughout the USA Pavilion. Global food security is a serious topic, but Thinc Design suggested we infuse playfulness into the interactive, making it non-didactic while communicating complex information that was compelling. Each player’s station symbolizes a different facet of food security, which includes: nutrition, farming, policy, research, cooking and industry. 3D models representing food security challenges, such as urban food waste, farming inefficiencies and wasteful irrigation, materialize in the center of the table. By working together, passing these challenges from stationto station, visitors can unlock solutions to world hunger. The game is bi-lingual and visitors can select either English or Italian. Overhead, a Kinect senses when players arrive at the table. 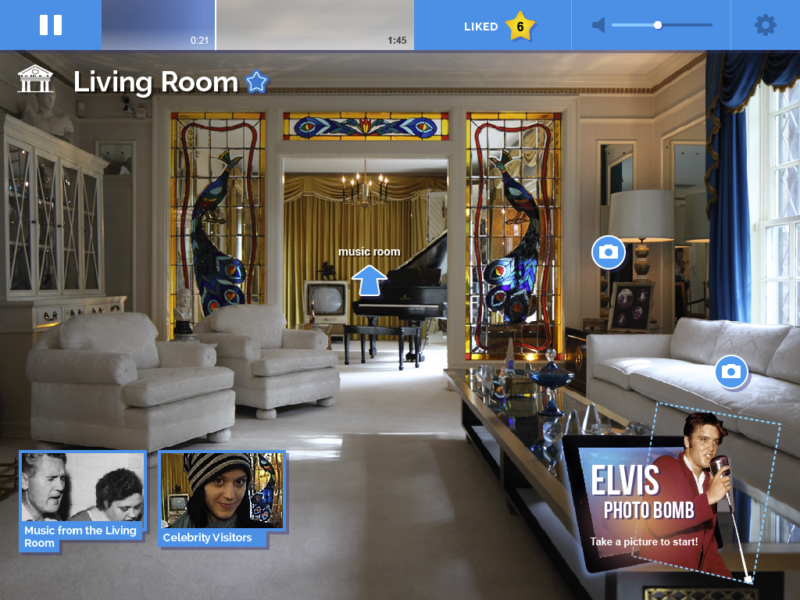 To celebrate the life and legacy of Elvis Presley™, Graceland® contracted Unified Field to completely modernize the audio guide at the Graceland Mansion into a multimedia iPad app, presenting an immersive experience for Elvis fans of all ages. The system works by monitoring Bluetooth iBeacons strategically placed by Unified Field’s engineers throughout the mansion. iBeacons function as a content delivery system, transmitting room specific media to the iPads in the form of interactive hotspots, allowing users access to audio, video, photographs and photo opportunities. 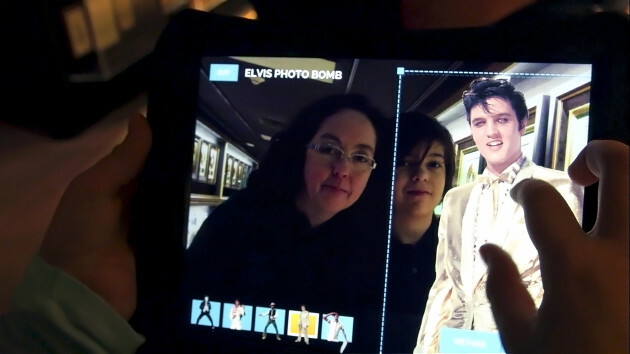 The “Elvis Photobomb” feature permits visitors to use their tablets to drag and resize iconic images of Elvis into photographs they’ve taken at the mansion. The iPad tour at Graceland contains information and media, as well as an opportunity to include Elvis in a photo the guest takes. Other features allow guests to “favorite” selected content found on the tour to review and share at the conclusion of their tour experience. The tablet tour has been proven to be a popular hit, based on research with guests on site and also from reviews on tripadvisor.com. The co-authors are on staff at Unified Field (www.unifiedfield. 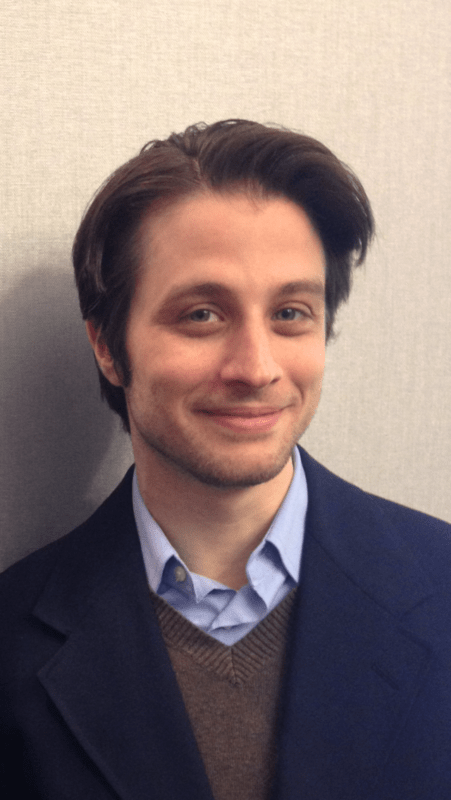 com): Eli Kuslansky is partner and chief strategist, and Gregory Peduto is writer-researcher. 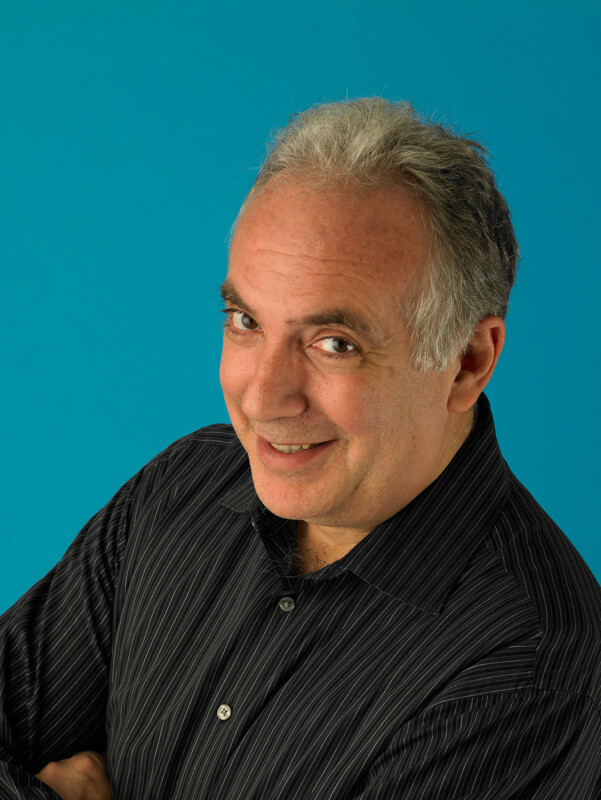 Unified Field designs and builds content rich experiences for international clients to generate sustainable relationships with their customers, audience and networks. Unified Field fuses interactive media with the power of narrative to evoke emotions, provoke deep thought and invite action. Their New York City offices contain in-house capabilities for producing 2D and 3D animations, video, software, research, scriptwriting and hardware, including a dedicated lab for prototyping the next generation of interactive exhibits and convergent technologies.